Whether you are about to migrate from your legacy mail system to an internally upgraded one or move to a hosted or cloud-based email provider, you need somewhere to command and control your project activities. 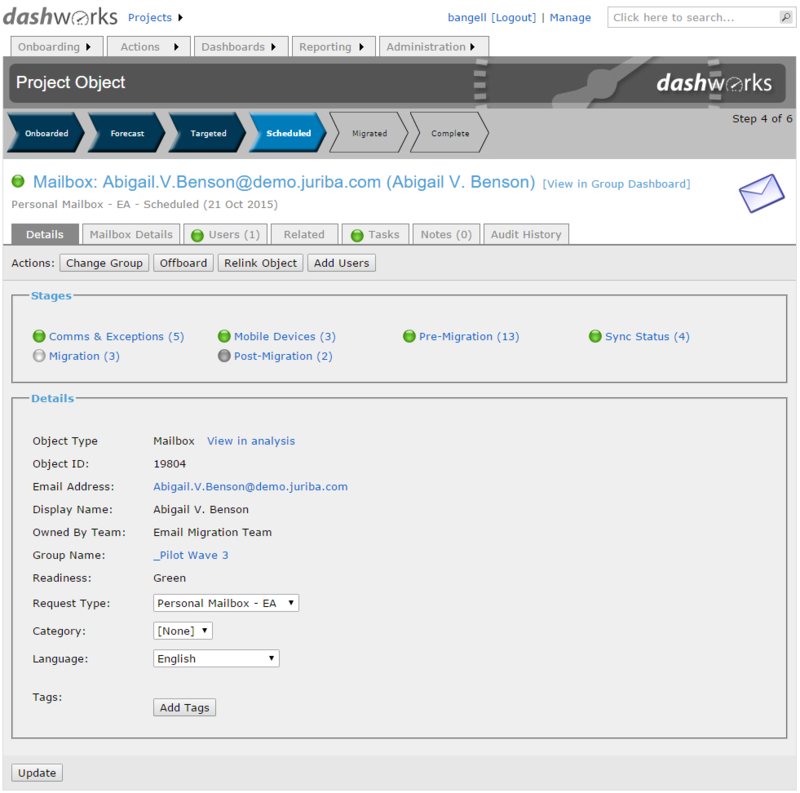 The Dashworks Project System for Email Migration enables you to utilize the critical data harvested from your organization in Dashworks Analysis and build your mailbox migration. By linking users to mailboxes and related public folders or archives, identifying delegates and impacted mobile devices, your dependencies are established, and you can move forward with data validation, mailbox and permission rationalization and end-user communication tasks. The system manages the entire readiness and scheduling process from beginning to end, giving you access to real-time project status. Tasks specific to email migration projects are created to track key progress indicators like Outlook client version, target mailbox synchronization status, mailbox stub dehydration and training readiness. 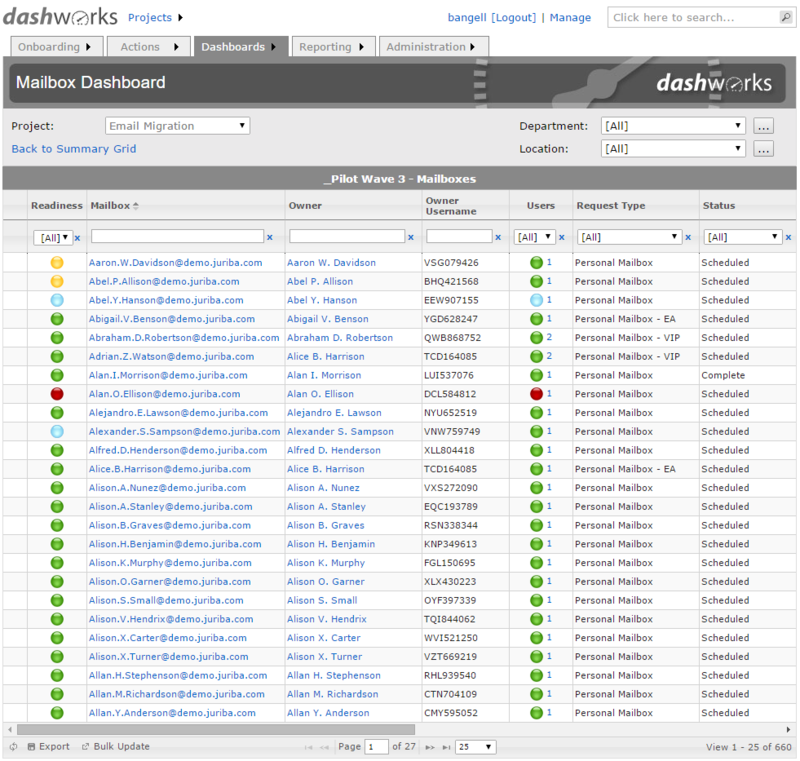 From here, email communications are triggered to your end users, and data validated in the self-service portal. 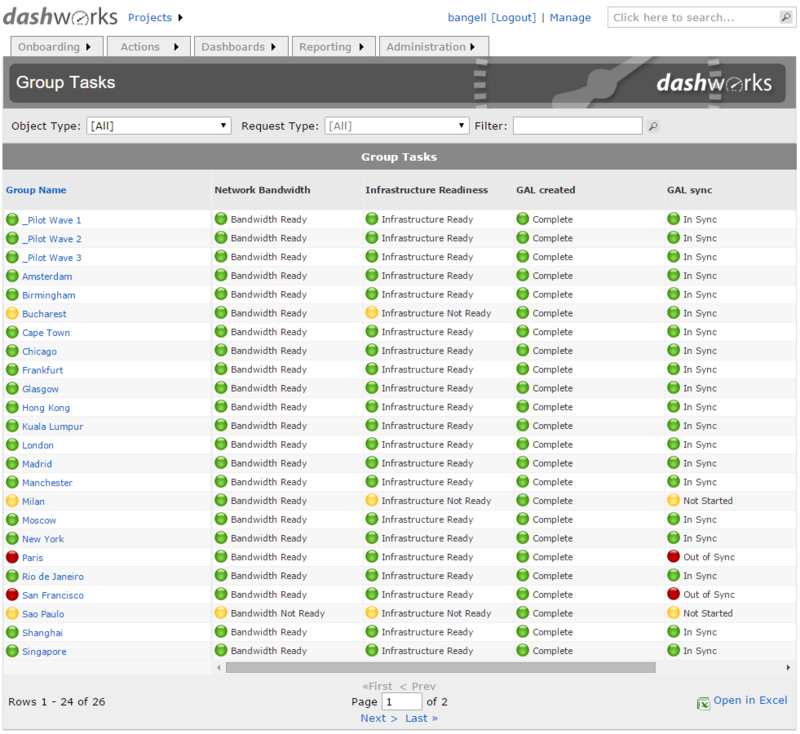 When your schedule is locked in, deployment activities can be triggered from Dashworks for a seamless IT migration experience. Want to see for yourself? Schedule a demo with one of our desktop migration specialists.